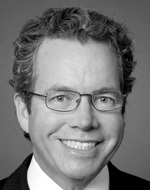 Gary L. Neilson is a senior partner with Strategy& based in Chicago. He focuses on operating models and organizational transformation. The builders of modern multinationals draw inspiration from the architecture of buildings: Design a blueprint, manage the flow of resources and inject some soul. In the 1980's the goal of restructuring was to cut costs and create greater efficiencies. While companies benefited, the shareholder was often left out. Now the goal is to create value for stockholders. Here is how it can be done.